“Dead Deal” by W.J. Evans follows Julia Hollow, a hot FBI agent, as she is assigned three cases involving three death mysteries to solve. The context of these deaths is the 2008 financial and real estate crisis. Julia Hollow soon finds herself realizing that there might be a connection between the three cases as they were all important business men in the financial world; and that connection, and maybe her suspect, is Frank McCormick – a real estate developer who will end up navigating the story’s intriguing plot of crime, murder and financial chaos. This murder mystery thriller is not all murder and crime…there is also a lot of sensual scenes and tension which complements the roller coaster read. 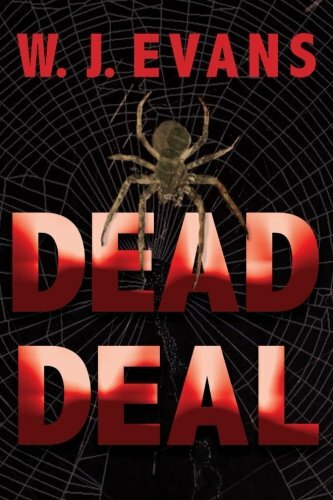 Overall, I found “Dead Deal” by W. J. Evans to be a five out of five stars entertaining read that will captivate readers from beginning to end, the same way a roller coaster pins riders to their seats. The story’s twists will definitely keep readers turning pages as well as the sensual tension. I recommend this story to all fans of mystery and will definitely be on the lookout for more titles from this author.